After longtime searching in GG to find a way to show Quick Action Dialog with up Arrow in the top of dialog, I failed!! 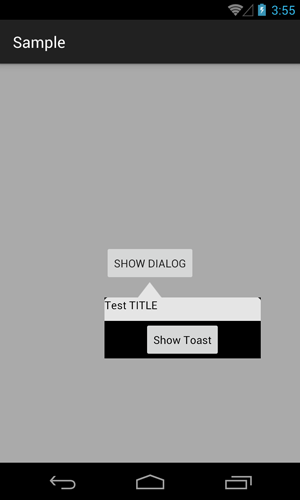 Therefore, I create This Library to help lazy devs as me to show quick action view in a dialog fragment. 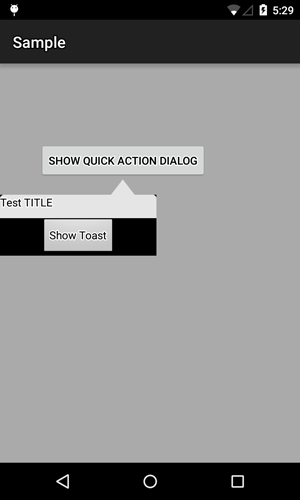 Therefore, you can custom your quick action view easily even with: viewpager inside your quick action. // must dismiss this dialog before orientation change to avoid AnchorView is deleted! The current version of Library only supports DialogFragment with left and top gravity. You should be careful when using it!